Welcome to Plumber Ringsend our team are ready and waiting to assist you. If you have a plumbing emergency or need any general plumbing services completed just call us. We provide a fast, professional range of plumbing and heating services in Dublin and the whole of the county. Our team of plumbers in Ringsend like to allow all of our customers to concentrate on their own business while we solve their plumbing problems and provide maintenance services. We are ultra reliable and are committed to providing quality services at affordable prices. If you need rapid emergency response 24/7–365 days a year, call us on 01-6874850. Our team always answer the phone and promise to be with you in less than 60 minutes. You can call us at any time of day or night and get through to a senior plumber. If we can’t solve the problem over the phone we will send someone out straight away. All work carried out by our Ringsend plumbers is fully guaranteed. We are also comprehensively covered by public and professional liability insurance. You will find our rates as competitive as anywhere in the market place. We do not charge for call outs and we don’t operate with hidden fees or charges. In fact we don’t ask you to pay until the work has been completed to your utmost satisfaction. About the team at Plumber Ringsend. All of our teams qualifications have been subjected to rigorous checks. This is always done prior to employment. We do this to make sure that they have the skill set and experience to attend to any of our customers. All of our staff are also R.G.I. gas safe registered and have passed all relevant industry recognized courses. We also ensure they are up to date with all health and safety regulations. Services provided by plumbers Ringsend. · Emergency 24 hour plumber Ringsend call out service. · Oil boiler servicing by an R.G.I. engineer. · Central heating systems repaired and replaced. · New fitting of showers, baths, toilets, taps, bidets, wet rooms and sinks. · Repairing of burst and leaking pipes. · Water pump repair and installations. · Unblocking of drains. We use plumbers snakes, jet flushing, drain rods and C.C.T.V. · Full bathroom renovations. This includes tiling and floor laying as required. At plumber Ringsend we aim to be completely transparent in our operations. Therefore we are happy to offer free unbiased over the phone. We can call out at a time that suits and give a free no obligation quote.Call 01-2844921 today to speak to one of our master plumbers. When you need a help urgently remember to call us. 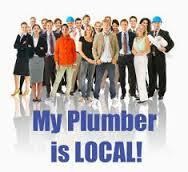 We are your local one stop shop for all your Plumbing services.